I am reading a sci-fi book about Mars. Red Mars, Green Mars, and Blue Mars by Kim Stanley Robinson is a trilogy about terraforming Mars and transforming a population of colonists into an independent society. The book resonates deeply with our recent excursions. Hiking the red rocks of Utah parks reminds me of the Martian landscape. When driving a dirt road in a deep canyon with little plant life I feel the environment is as strange and hostile to life as on Mars. I almost expect to find a Mars rover around the corner. The abundant biosphere of our planet turns out to have clear and surprisingly close boundaries. We see the artifacts of Mars terraforming efforts - Krummholz, fellfield, tundra - all around us in Rocky Mountain park above 12 thousand feet. The surroundings look barren with clumps of short grasses and tiny twisted trees. Signs remind us of fragility of the terrain where vegetation damaged by walking over takes tens of years to regrow. And yet the plants there withstand extreme temperatures and winds. Lichens grow above the tundra, on bare rocks. They are the foremost emissaries of life. If we ever decide to terraform Mars, lichens will be the first plants to establish. They can seemingly find purchase and nutrients where nothing else can survive. What looks like shades of gray from a distance reveals astonishing colors and structure up close. When we proceed to change Mars in Earth image we will have discussions and fights just like the ones surrounding the extent of the preservation efforts in US, especially in the neighborhood of national parks. Farmers protest reintroduction of wolves. Developers contest value of laying away the land. Preserving Mars in its natural state may be even harder as there is no life involved and people may feel it’s just a rock. Introduction of atmosphere, which will start eroding mountains, may be seen as progressive and beneficial as dredging streams to extract metals once was. At 10 thousand feet (3 thousand meters) - the base altitude for our hikes in the Rockies - the skylight is visibly more blue as there is less air to scatter the short end of the spectrum. What color would the sky on Mars be? The terraforming would gradually increase atmosphere and bring the color of the sky from the current orange/pinkish-lavender to dark to light blue. Robinson wrote his books in the 90s and thus his vision of the future is an expansion of American and Japanese models of capitalism with a shrinking group of people controlling larger and larger share of wealth. Democracy is giving way to the dominance of multinational corporations. It’s not that American model has changed much. The recent bailout of large banks by the government is a case in point. But European Union takes a slightly different tack when it comes to regulating large companies, protecting society at large and executing financial prudence. So may be the world takeover by the few large multinationals is not as unavoidable as it once seemed. In the trilogy environmental awareness and political autonomy emerge together on Mars. But the evidence of the American West being treated as a colony long after United States declared independence is everywhere: virgin forests and wild animals are gone, rivers are dammed, water is diverted to cities and fields, native inhabitants are exiled in reservations. Will we be mature enough to pull it off a 100 years from? We clearly were not up to the task a mere 100 years ago. And it is a whole new planet after all: I’m sure it will feel as inexhaustible as the lands of United States once were. The town of Breckenridge is high. And not just because it legalized marijuana. It’s almost 10 thousand feet (3 thousand meters) above the sea level. 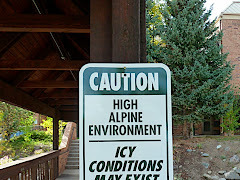 According to a multitude of articles about altitude sickness this is a serious elevation. As usual I chalk the alarming tone of the warnings up to American miscalculation of risk. Anything practiced by thousands people inhabiting towns of Rocky Mountains cannot be that dangerous. And this time I mean living at this altitude, not pot smoking. This really should not be about trees. Nor about beetles. I should write about Rockies tundra extending above 11000ft (3500m). Because tundra at this latitude is unique. And trees are everywhere. At least for now. Normally it takes some effort to get to the tundra layer. You have to either hike for a couple of hours or travel way up north. But not in Rocky Mountain park. There is a road that will take you up there. And then you can take a paved trail to have an even closer look. The trail is not steep but you will run out of breath. Only 2/3 of oxygen that your body is used to is now entering your lungs. So to compensate you breathe harder and more often. Even if you are otherwise in a pretty good shape. It’s hard to believe that anything can live here. But it does. And it’s colorful and fragile and very alien. It’s September but the cold wind tries to knock you down and slam your car doors. Chances are you are not dressed properly. After all you just drove up in comfort of a car from a warm autumn town below.